With the rise of streetwear and athleisure, the fashion rules are changing for everyone. Traditional fashion etiquette is out the window with athleisure and fitness wear becoming more popular as everyday attire, and now brands that catered to a male market are becoming more female-focused. known for being a ‘boys club’ but fortunately, there’s been a shift within the last couple of years. Female sneakerheads have seen female-focused brand campaigns, sneaker collaborations with influential women, and more sizing options available for women. The big brands are hearing the cries from female sneakerheads and have recently been delivering with women-only campaigns. On Air Max Day in 2017, Nike released its second women-only Air Max model, called the Air Max Jewel. They also dropped the Air VaporMax, which was a Cortez campaign led by the always-on-point supermodel Bella Hadid as well as a Nike Women campaign led by the incredible tennis phenomenon Serena Williams— a big step in the right direction for the footwear brand. Not only do we now have strong women headlining big brand campaigns but creating and inspiring them as well. 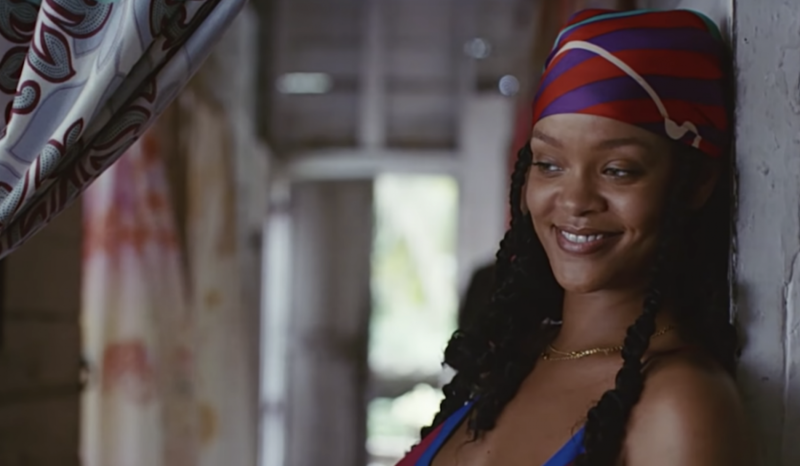 In 2014, Rihanna became the creative director of PUMA and shortly after released her first sneaker with the brand, which sold out in mere hours of its presale launch. Subsequently, RiRi released various trainers and other footwear and boosted the PUMA relevancy since she’s been behind the brand. Most recently Gigi Hadid has partnered with Reebok to create an entire athleisure line featuring the Classic Leather Double and the Aztrek Double sneaker. With influential women behind the design and creation of these sneaker lines, brands are letting women know that they are a part of the game and inspiring some of the biggest sneaker drops. Jordan Brand partnered with Vogue for its first-ever women’s only Jordan collaboration, inspired by Anna Wintour. The Air Jordan I High Zip AWOK and Air Jordan III SE AWOK dropped–– the AWOK stands for “Anna Wintour OK” to denote the Editor-in-Chief’s approval for a story. This drop was the first to come exclusively in women’s sizes. Although sneaker brands have been stepping forward with female collaborations and campaigns, sizing and style is still a huge issue when it comes to kicks for women. Expanding sizing for sneaker drops are the best thing to come out of this female sneakerhead movement. 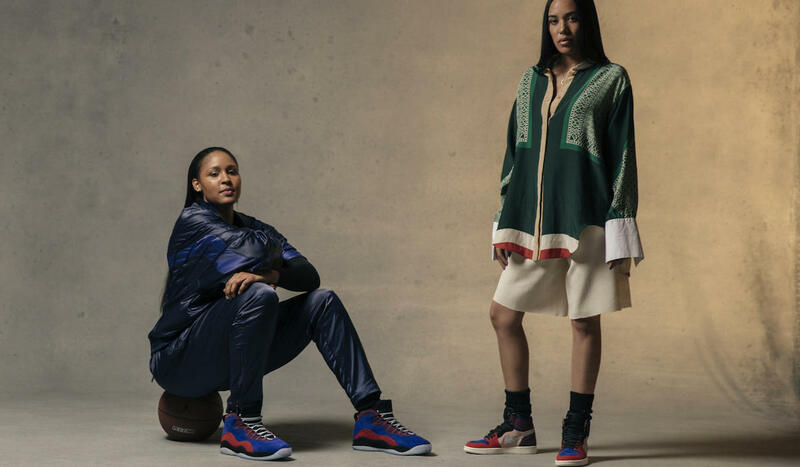 With Aleali May’s Jordan collaboration in dual-gender sizing and the Vogue x Jordan Brand collection only available in women’s sizing, women aren’t left out. However, some brands assume that women just don’t ‘get’ sneaker culture. Brand consultant Selma Kaci explained to Highsnobiety that “for a long time, brands seemed to assume that girls don’t have the same knowledge or understanding of the product as boys.” Rather than listening to what women want, brands would essentially take a men’s shoe and make it smaller and pink for the version for women. The industry commonly refers to this method as “shrink it and pink it.” With these new collaborations and campaigns being spearheaded by women who are asking and listening to what other women want, we are seeing a shift from “traditionally feminine” styles to new and unique offerings. There’s still a long way to go, as these brand movements have been quite recent, but it is refreshing to see such a change in the male-dominated sneaker culture. It is clear that big brands have noticed that women want more than just pastel colored shoes and have stepped up to listen and deliver to such a huge market.